On this page you can view original images taken or drawn by members. If you want to submit an image please tell us something about the subject and the equipment used including any software used to process the image by emailing to eeac@essexastro.co.uk. 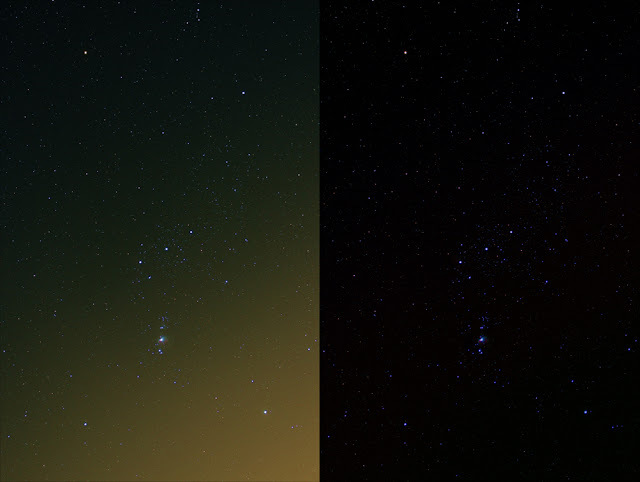 Here we have a montage of a before and after of the constellation of Orion. Although the skies are quite dark around Burnham we are only a few miles (as the crow or avian species of your choice flies) and light pollution can build up over the period of an exposure. 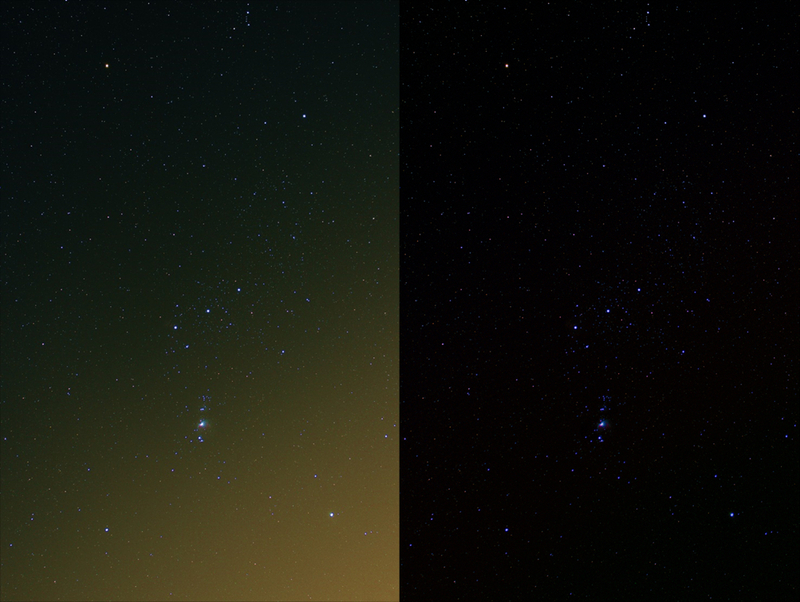 It is possible to remove the light pollution in post processing. If you want to know how drop us a line! To start us off here's a shot I took of the moon the other night. 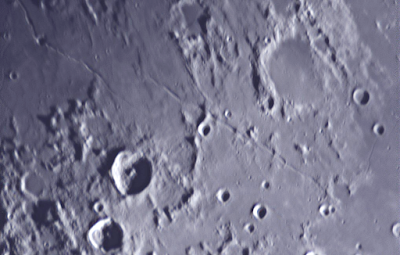 I used an 8" Celestron Evolution with an Altair GPcam v1 and a x2.5 Revelation Barlow. 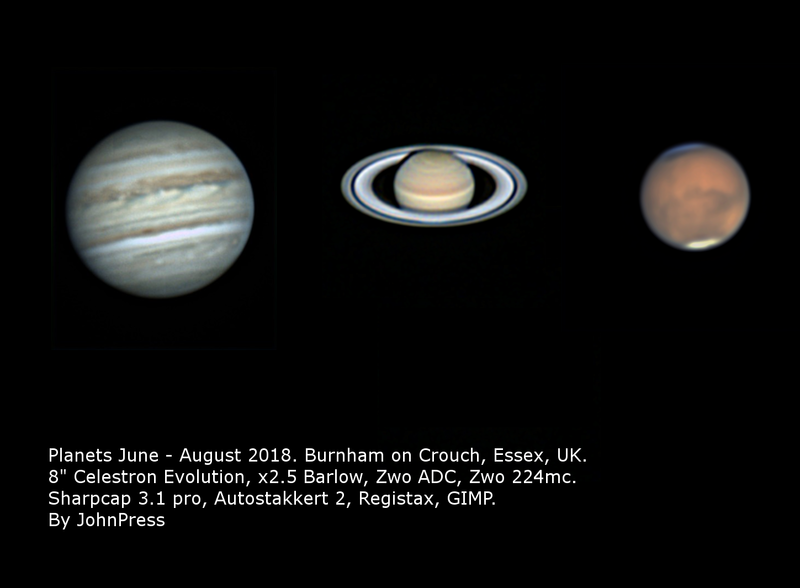 I used Sharpcap to capture 1500 frames, Autostakert 2 to stack about 250 frames, Registax to do wavelets on the best 80% of the stacked frames and Gimp to alter the curves. 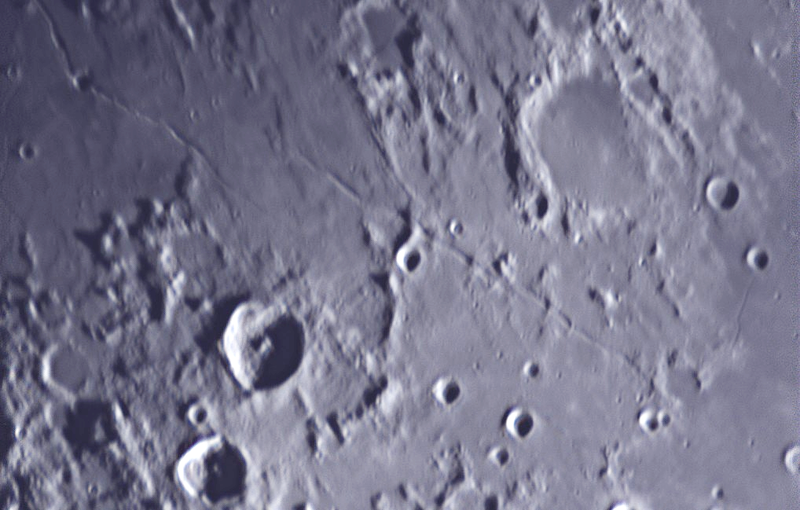 The crater to the top right is Julius Caesar. I am running a rally for the Caravan and Motorhome club called the man on the moon celebrating 50 years of the moon landings and am looking for someone to come and give a presentation on astronomy. The event is being held at Pleshey Village hall CM3 1HB on Saturday 13th July 2019 in the evening and would like a presentation around 20:00.